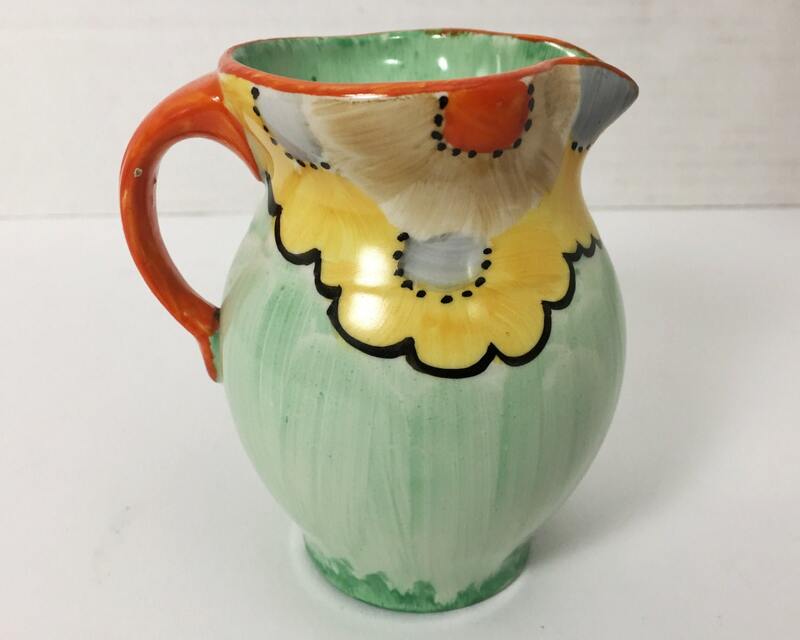 This is a beautiful and bold hand painted Art Deco creamer or small pitcher, made by S. Hancock & Sons in the 1930s, dated both by the pottery mark which includes the trade name 'Ivory Ware' and the distinctive Art Deco design of large flowers boldly outlined in black against a streaky ground of light green. 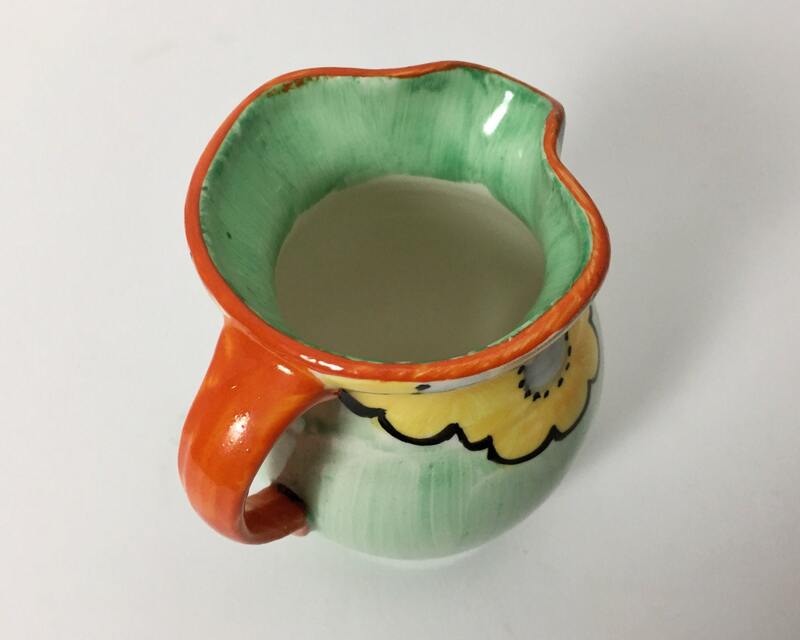 The handle is orange, as is the rim. 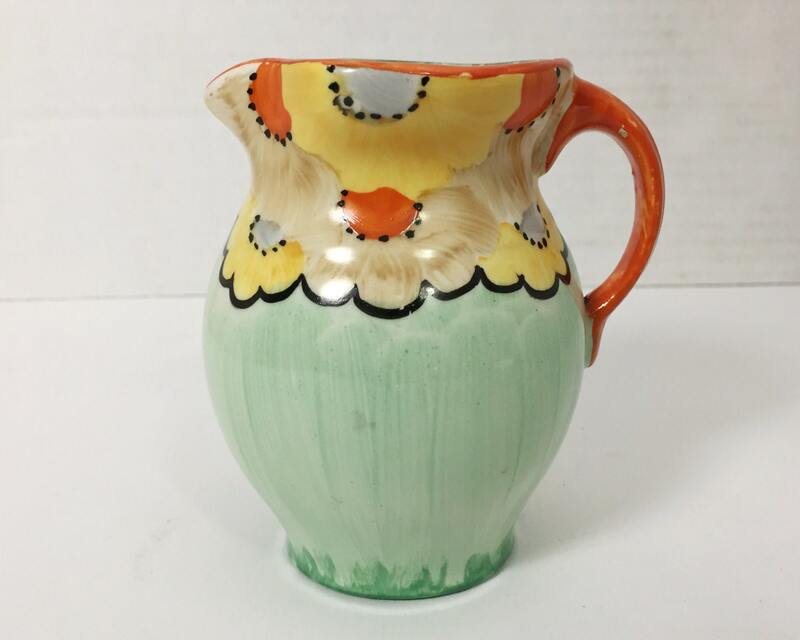 This period in English pottery yielded some wonderful designers, reminiscent of Clarice Cliff and the like. This is a desirable piece, and hard to find in the United States. 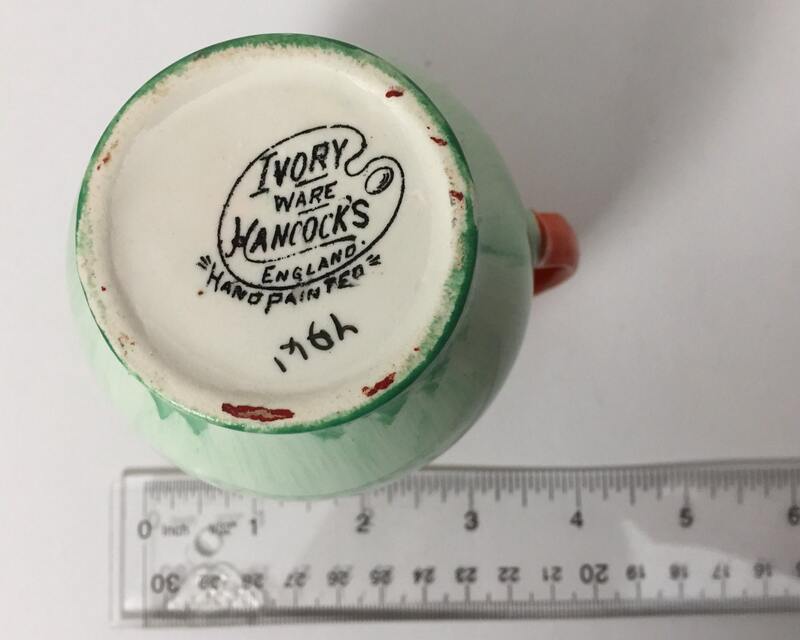 This is English pottery, S. Hancock and Sons, was founded in 1857 but was in receivership by 1937, sadly, as they employed many fine decorative artists after WWI and are well known by collectors for their 'Morris Ware' which was reminiscent of Moorcroft. CONDITION: Excellent. This piece has no chips, nicks, cracks, or scratches. The paint is vibrant and fresh and looks new. 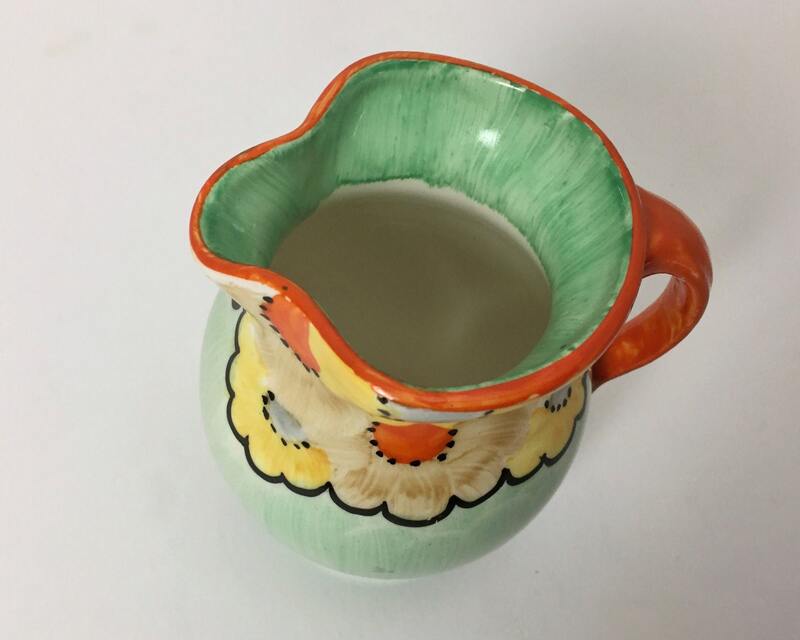 SIZE: About 4 inches tall and about 3 1/4 inches wide from spout to handle.